IMAN’s organizing and advocacy agenda is driven by leaders who are directly affected by and deeply invested in the issues, and guided by the organization’s deep spiritual convictions around principles of human dignity, social justice and compassion, particularly for marginalized people of color in the inner-city. Each week, this organizing and arts workshop offers local leaders everything from legal strategies to a vital healing space helping our communities resist and cope with the trauma and challenges of our current moment. 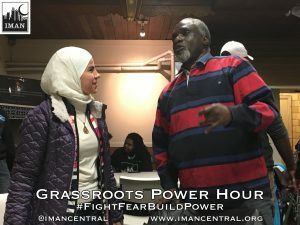 IMAN mobilizes communities across the larger Chicagoland area around several issues directly affecting the working poor living in the inner-city, from criminal justice reform to public health. 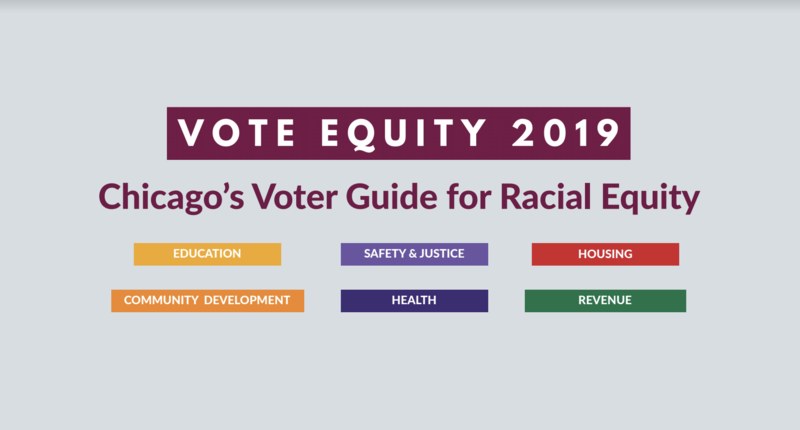 This 2019 Chicago Voters’ Guide for Racial Equity is an online resource designed to inform voters about the candidates running for office in the February 26 election. The Vote Equity project collected more than 250 reform ideas. Chicago residents from every ward voted for their top priorities which were shared with candidates. This Guide reflects their responses to these top issues. 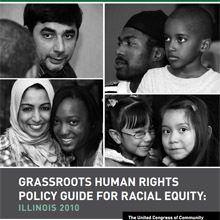 The Voters’ Guide was produced by the Vote Equity project, a collaborative initiative developed by: Brighton Park Neighborhood Council (BPNC),Chicago United for Equity (CUE), Generation All, Grassroots Collaborative, Metropolitan Planning Council, UIC Institute for Policy and Civic Engagement. In 2016, IMAN organizers and community members led the push to pass a crucial amendment to parole supervision law that eased some restrictions placed upon returning citizens. This piece of legislation—the Removing Invisible Bars Act—now allows returning citizens the right to associate with others on parole, or those who have been previously incarcerated, when attending religious services, visiting a family member, or simply serving their community. Click here to complete an important anonymous survey measuring community impact of this legislation!